The definitive guides for building your construction or contracting empire! 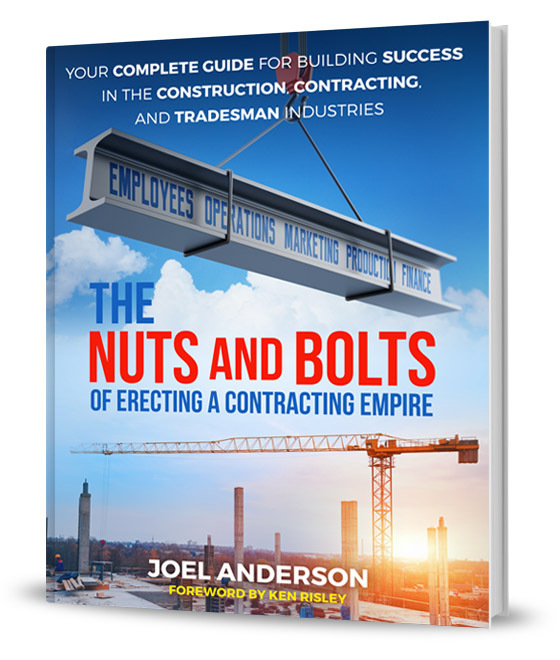 With over 46 years of experience in the construction industry working on every type of project imaginable, Joel Anderson shares the nuts and bolts for building a successful business. From hiring and managing employees to operations, marketing, and keeping clients to financing projects, Joel shows you the secrets for running your business smoothly, avoiding costly mistakes, and growing at a sustainable rate. Step-by-step, he’ll also show you how to get and stay organized while you regain your sanity, so you can run your business and it doesn’t run you! 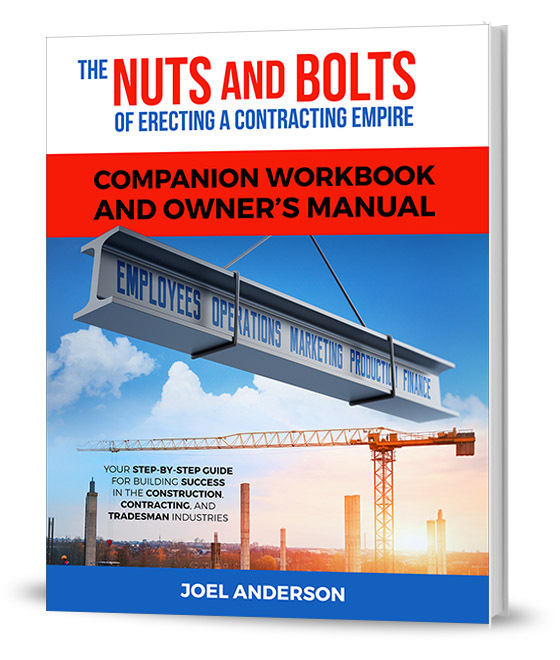 Whether you own a small to midsize contracting company, have a multi-million-dollar construction firm, or are tradesman striking out on his own, this book will help you erect your contracting empire! "Joel Anderson has written a completely useable and thoroughly applicable owner’s manual for the construction industry. His seasoned experience as this country’s top industry troubleshooter comes to life in this highly needed and anticipated roadmap for success!" This companion workbook follows the key points of the main Nuts and Bolts book which has been developed to help those in the construction, contracting, and tradesman industry take their business to the next level. With thoughtful exercises, this workbook has been carefully created to bring the key success concepts of the main book to life and help you fully integrate them into your business. Step-by-step, this workbook will show you how to build, operate, and expand your company in a practical, predictable, and stable manner. What’s more, you will perfect your company’s operations and develop the systems and tools that become the owner’s manual for your company. With over 46 years of experience in the construction and contracting business working on every type of project imaginable, Joel Anderson will show you exactly what you need to do to run your business efficiently, avoid costly mistakes, and manage its expansion successfully.